Sole proprietors have to track income and expenses, like any other business. Unlike corporations or limited liability companies, however, they don't have shareholders or partners to whom a larger business would pay out a portion of profits in the form of commissions, salaries, bonuses or dividends. Instead, a sole proprietor earns taxable net income, which he pays to himself as a salary or keeps invested in the business. The latter money is known as "retained earnings." 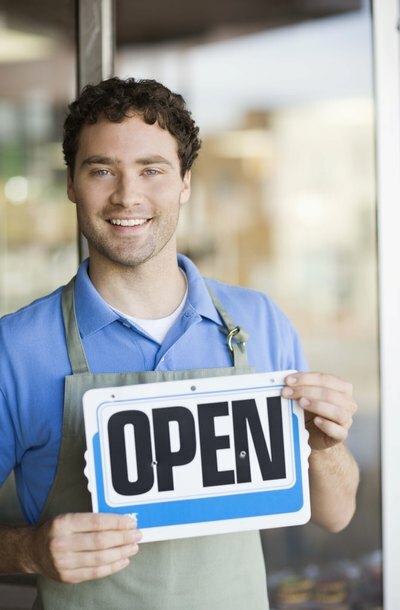 The IRS considers the business and sole proprietor to be the same. Any net income from the business is taxable income for the sole proprietor, who declares the profit on his annual individual tax return using Schedule C. There is no separate business tax return. The sole proprietor also pays self-employment tax for Social Security and Medicare. Whether or not the earnings are retained, they are taxable, according to the calculation of net income on Schedule C.
A sole proprietor does not keep a separate account for retained earnings, since he doesn't pay dividends out to shareholders or partners. The owner still must keep track of his expenses, revenues and net income, as well as the money he keeps in the business and uses for equipment, transportation, postage, salaries and other expenses. These retained earnings show up on the balance sheet as part of the equity the owner has in the business. A typical sole proprietorship keeps two separate accounts for this equity: Owner's Capital and Owner's Draw. Personal funds the owner used to start up and operate the business, and continues to contribute to it, are kept in the Owner's Capital account along with retained earnings from operations. Owner's Draw, however, is the account from which the owner takes his salary, commissions, fees and any other income. Net income for tax purposes includes any money drawn from the business and any retained earnings for the year.